This is Community Service made exciting! Learn about the threats to our oceans and take action to protect the marine ecosystem. Monitor the health of local reefs and submit your findings to a worldwide survey called Coral Watch. 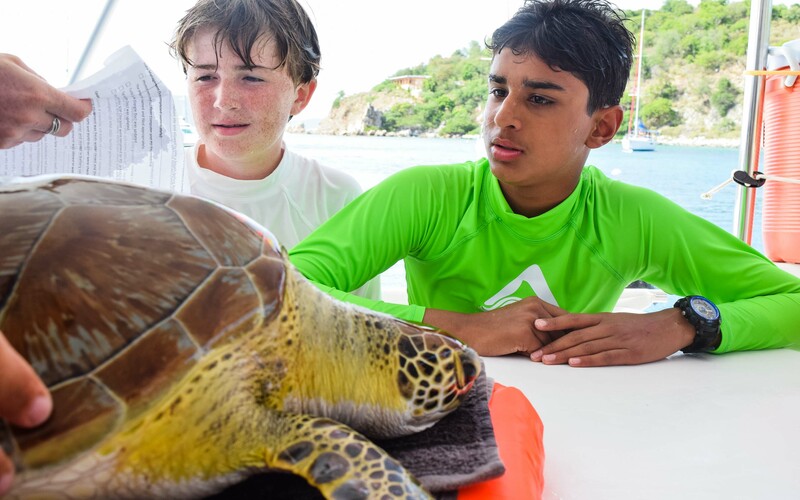 You’ll learn about the life cycle and ecology of the sea turtle species that inhabit the British Virgin Islands. 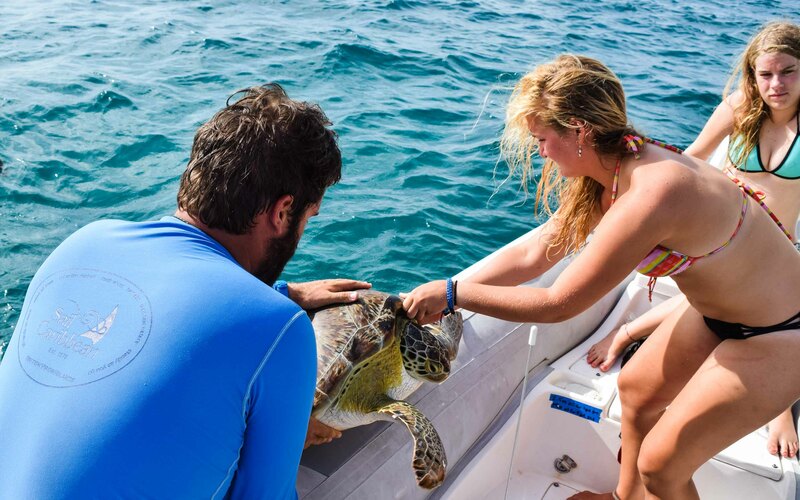 We work with the BVI Department of Conservation and Fisheries to teach you how to measure and handle turtles as you collect data to help monitor their endangered populations. You’ll help protect their habitats by removing debris from seagrass beds and restoring beaches to pristine condition. 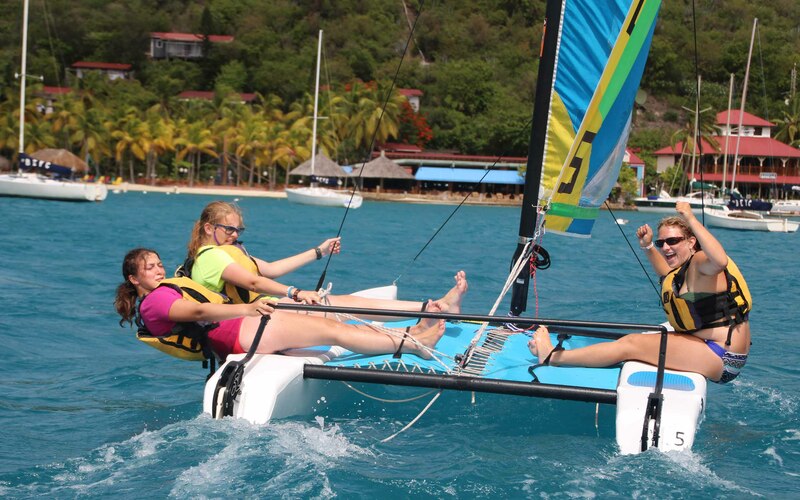 You and the rest of your Foxtrot crew will learn to sail and live aboard a 45’ catamaran with the help of our staff. 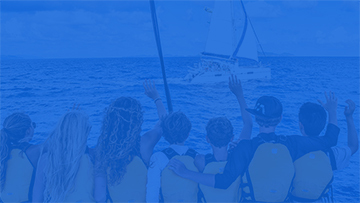 Build confidence and have fun as you master every aspect of boat life; from hoisting a main sail to cooking in a galley, you and your peers will become proper sailors! Your crew will gel as a team, rotating positions and sharing responsibilities each day. 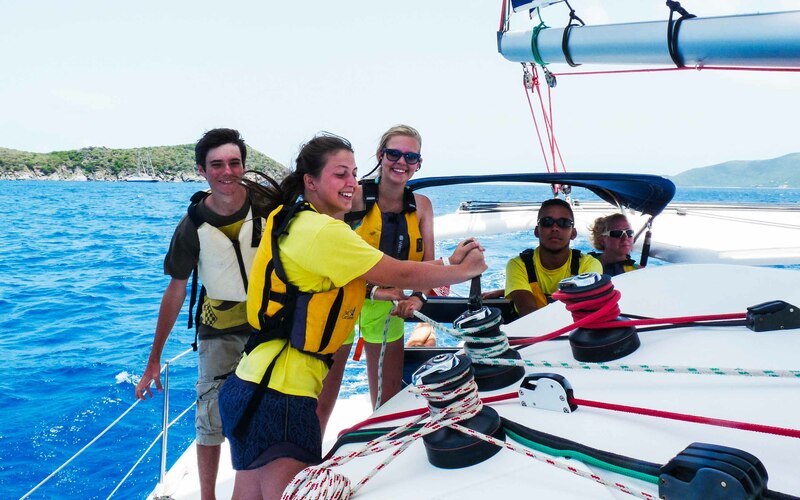 Soon, you’ll be amazed to find yourself practiced and confident, handling the boat smoothly as a seasoned crew. 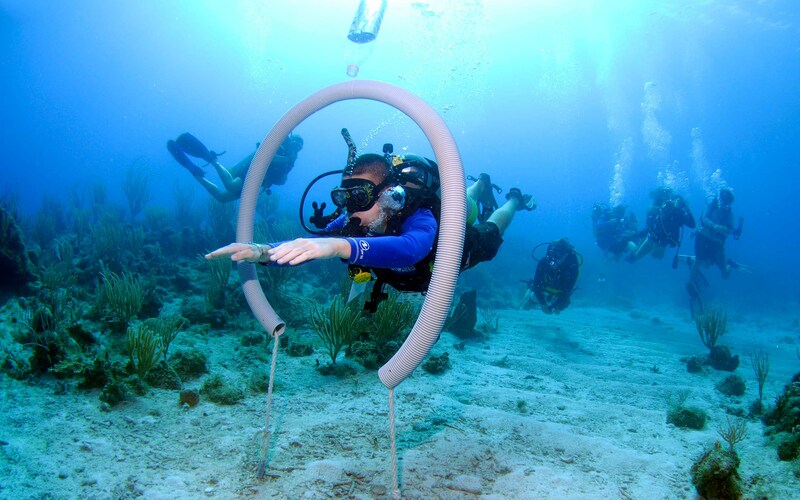 Get even closer to the marine habitats you’re protecting when you try out scuba diving with our Discover Scuba program. 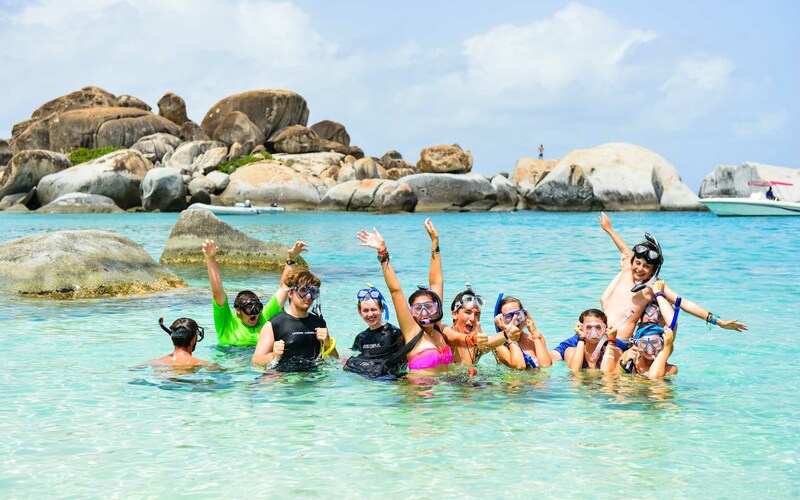 You can also earn your Open Water certification or just go on some fun dives with new friends! 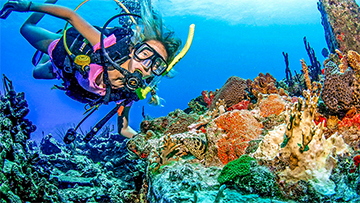 Non-divers will enjoy exceptional snorkels, often seeing just as much as the divers. 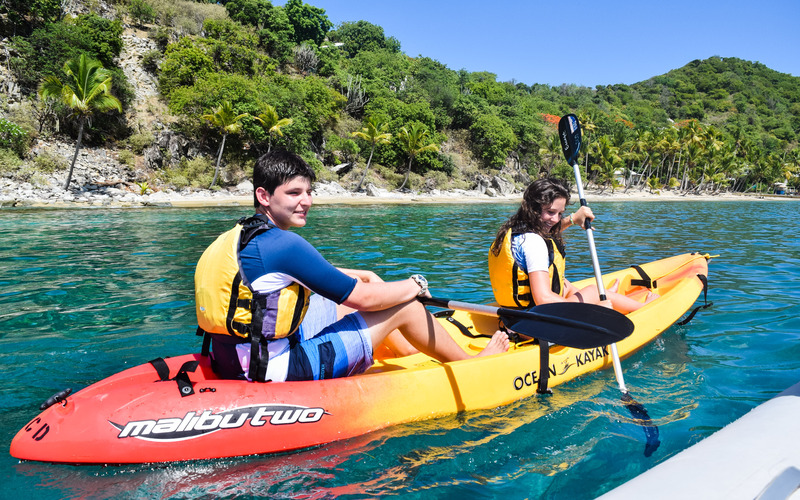 Beyond scuba, enjoy all that the Caribbean has to offer with a full assortment of watersports, island hikes, and plenty of beach days! When you arrive at Hodges Creek Marina, you’ll have plenty of time to get acquainted with our beautiful home base and meet your Captain, Mate, and fellow crewmates. After a day of travel and excitement, you’ll need to get some rest for the adventures that await you in the coming weeks. Your captain and mate will make sure everyone is prepared for the journey and ready to work together on your very first de-docking! You will have the opportunity to snorkel with turtles and squid at Cooper Island after your first sail across Sir Francis Drake Channel. The calm, shallow waters also make Cooper the perfect place to start your PADI Open Water course. 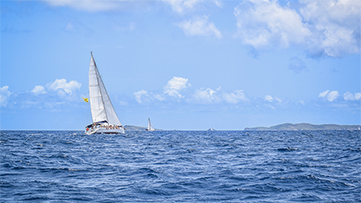 Now that you know the basics of sailing, our staff will start to challenge you to ask your crewmates for help when it comes to plotting your course, raising your sails, and deciding whether to trim or ease your sails. 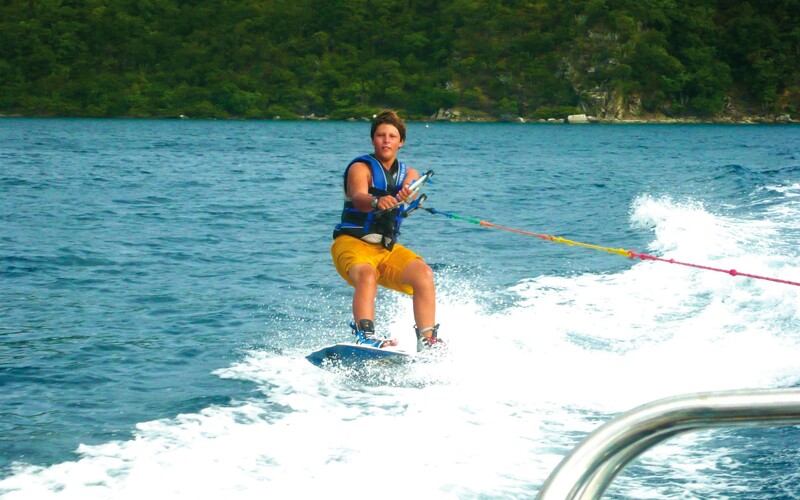 Your diving adventures continue and you will get the chance to try your hand at wakeboarding at The Bight. 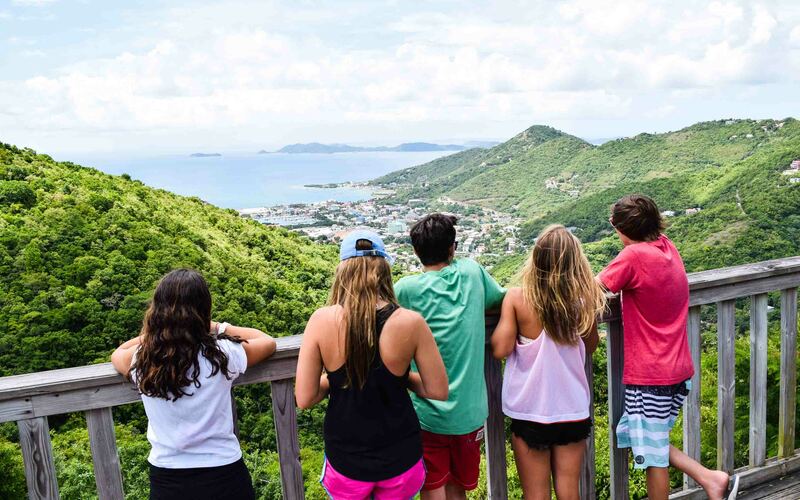 After crushing Challenge Day, you and your fellow crewmates can celebrate with dinner at Sydney’s Peace and Love on Jost Van Dyke. 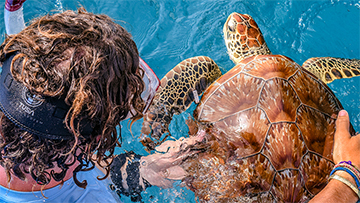 The next day you will explore sea grass beds to observe, tag, and record data on the green sea turtles that frequent Diamond Cay before sailing on to your next destination. 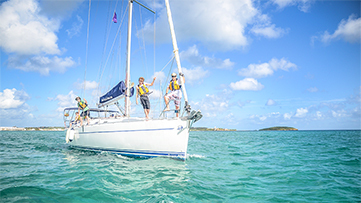 As the program draws to a close, your sailing skills come together with the last few anchorages and moorings. 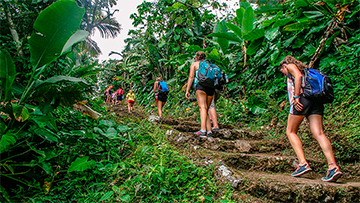 You will make final memories at the beautiful Baths while hiking and testing your sense of adventure on Jump Rock. Your final sail takes you back to Hodges Creek Marina for a closing dinner and awards ceremony. On your last morning you will wake early to a farewell breakfast with your friends before a final send off and an escorted trip to the airport. 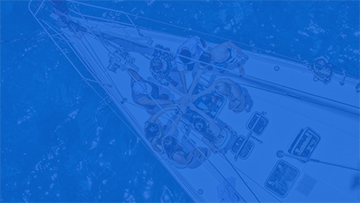 Proving you have an understanding of some of the more advanced sailing theories and demonstrating the ability to participate in sail reefing, timed tacking and jibing, island crossing, advanced navigation, anchoring, docking and de-docking skills along with racing tactics and proper safety techniques will earn you our Bosun certification. A focus on leadership while underway is the core of this certification. You’ll earn Mate certification if you succeed at assigning crew positions, directing most phases of seamanship and safety drills, demonstrate proper engine, dinghy and equipment use and maintenance, keep an accurate ship’s log and monitor the weather all skills that make you a capable second in command. 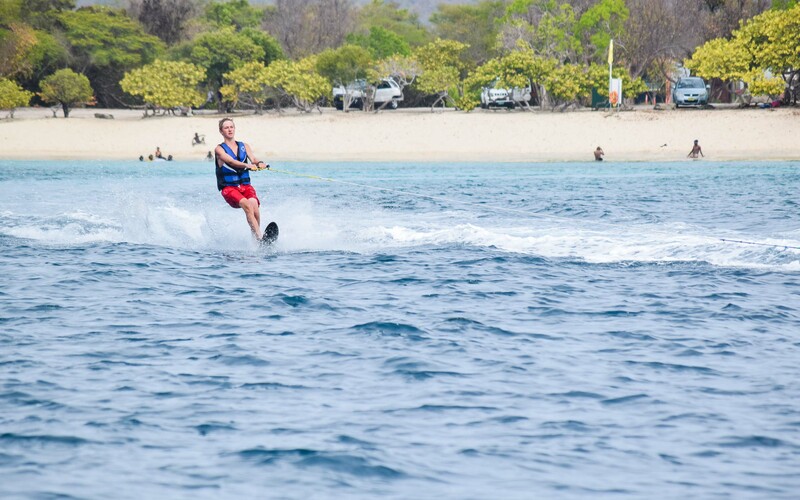 No experience is necessary, but you should be comfortable on and in the water, have a spirit of adventure, the ability to take on responsibility, and a desire to be challenged. 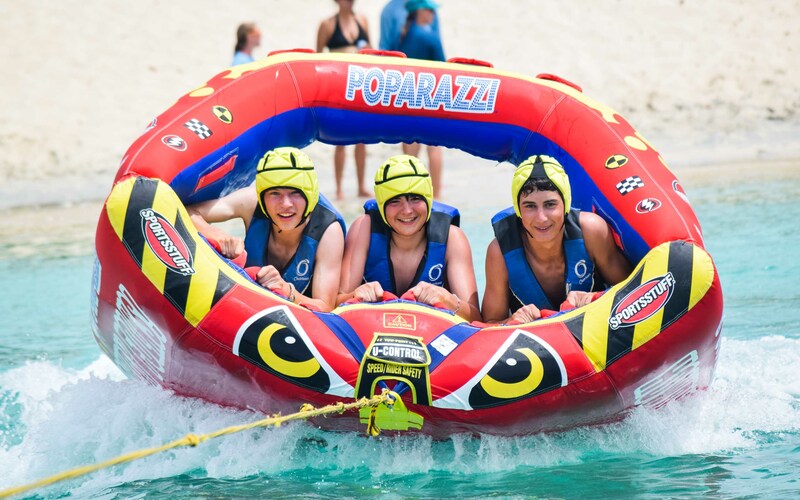 While everyone is involved with sailing instruction, scuba is an option on Foxtrot. And the snorkeling alone is amazing! 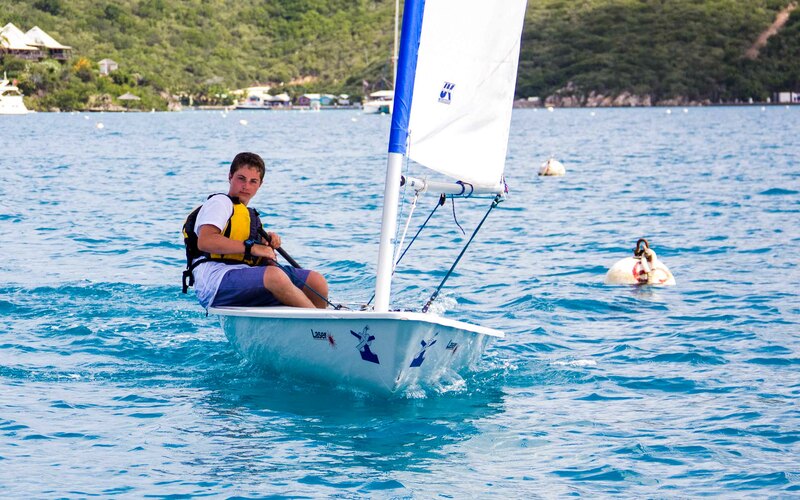 What sailing certification can I earn? 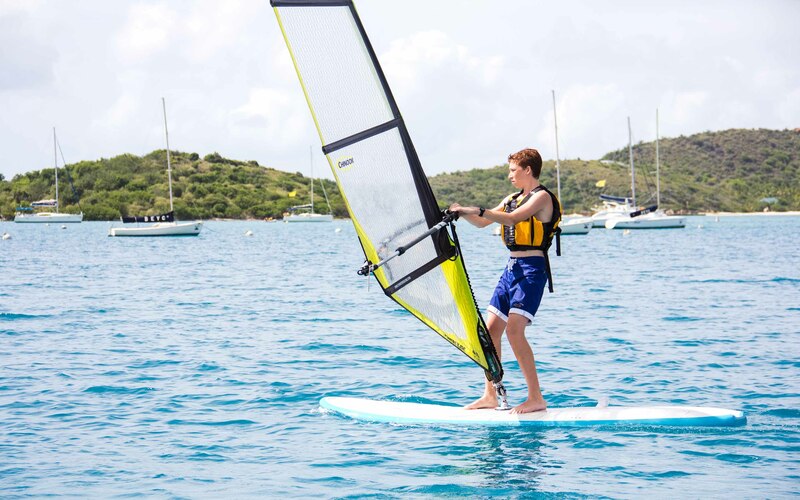 During the Foxtrot program you have the option to earn both sailing and scuba certifications. 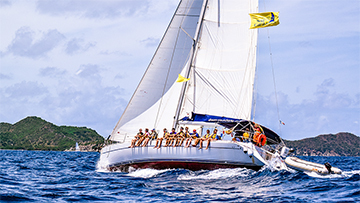 In sailing, as part of our core curriculum, you can earn the SC Crew, Bosun & Mate certifications based on your level of experience. 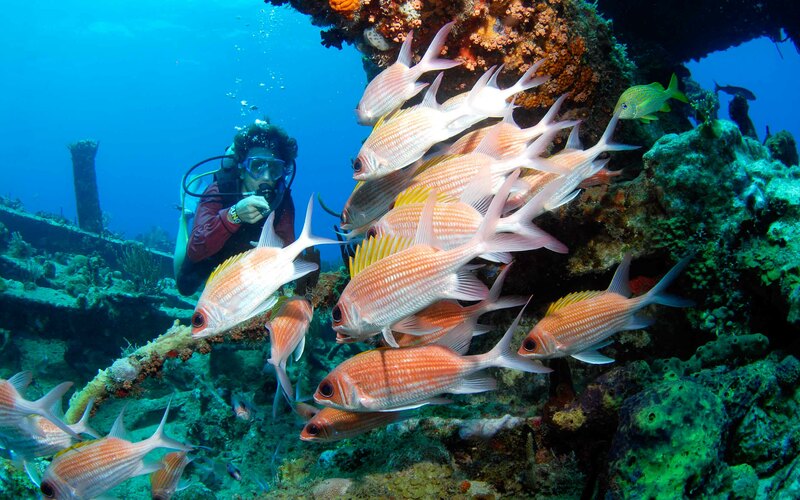 What scuba certifications are available? You’ll earn 15-20 hours on Foxtrot-14 day through hands-on research and service work. 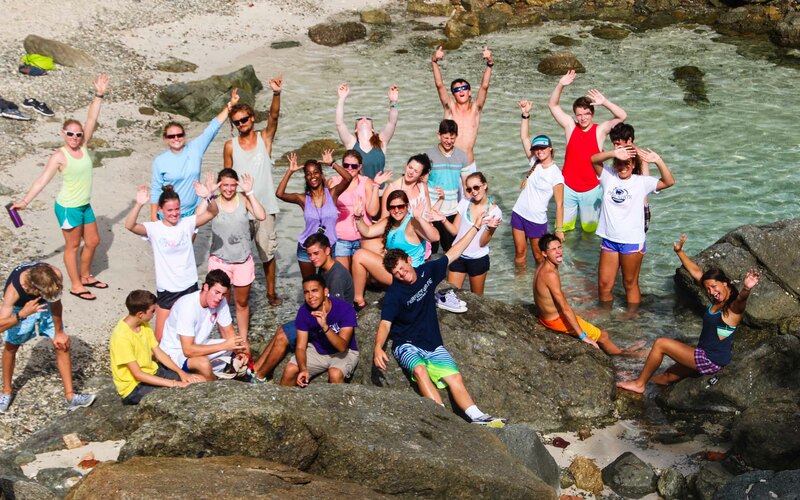 You’ll help restore and protect beaches, wetlands, marine and land habitats, often working with local youth groups. You’ll also work on projects to help the endangered sea turtle population. 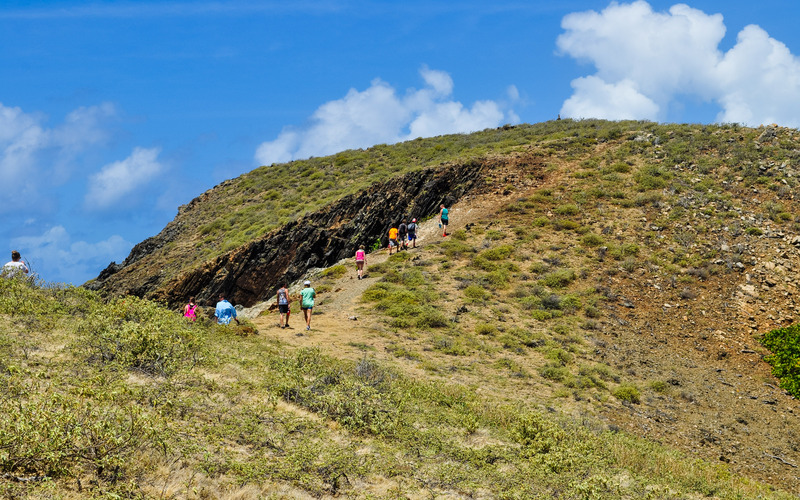 Together, your participation will have a lasting effect on preserving the land, and in turn, the livelihood of the people who inhabit these beautiful islands. Students join us from all over the country and from around the world. Their ages range from 14 (finishing eighth grade) to 18. Each co-ed boat has 10-12 students of similar age with a balance of girls and boys. 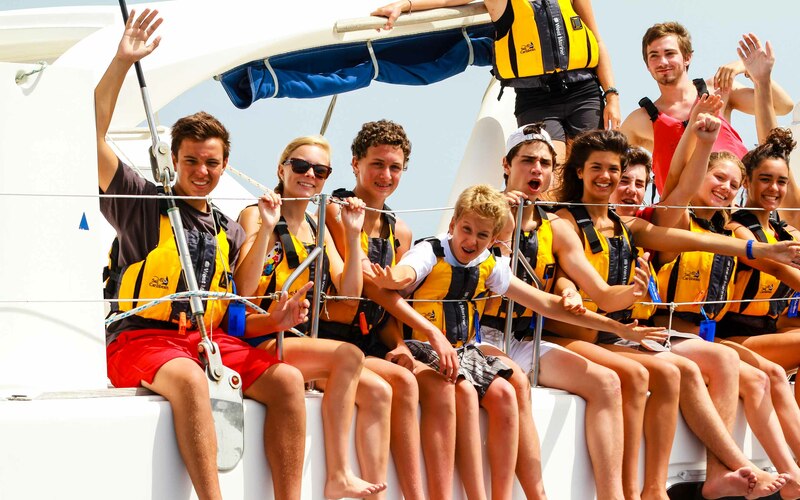 On Foxtrot, our fleet size is 24-36 teenagers. 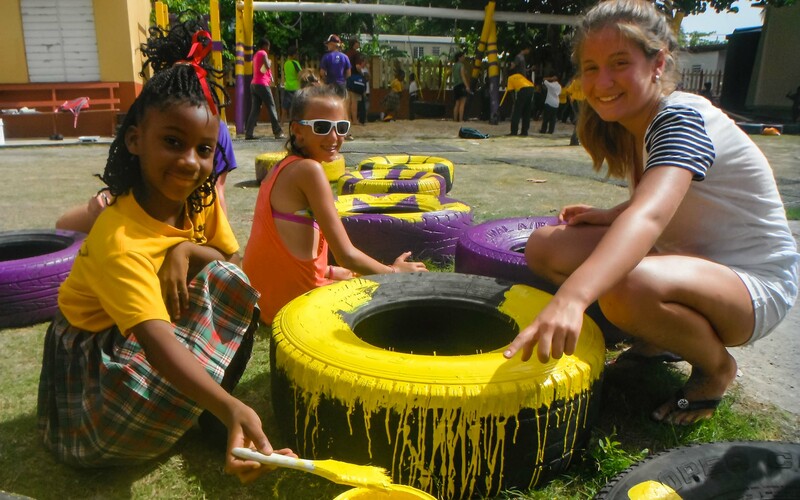 Each day offers sailing and meals with your crew and then activities, electives, and socializing with the entire group. 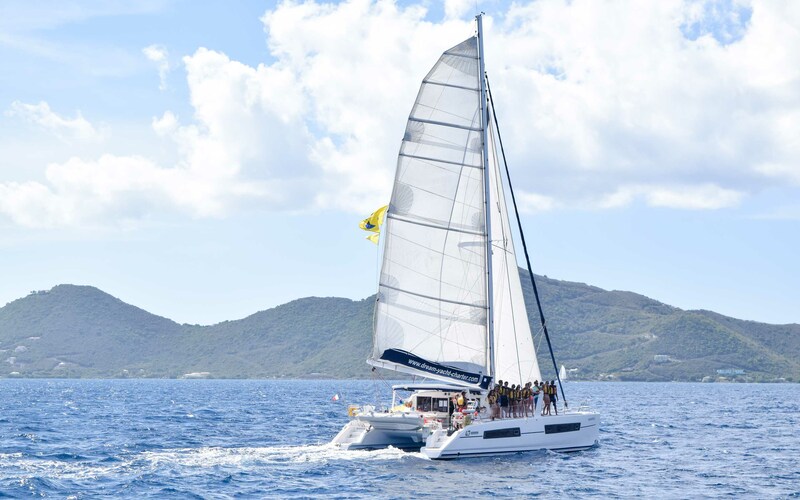 You’ll live and sleep on a modern 43’-46’ catamaran which is the ideal platform to accommodate our community and environmental service activities. Each boat has five cabins plus a main salon that can convert to a 6th cabin, four heads (bathrooms), and a fully equipped galley. Cabins are mainly used to store your belongings and to change clothes. Most nights the stars are so beautiful and the breeze so refreshing that you’ll set up your hammock or sleeping bag and decide to sleep on deck with the rest of the crew.